It’s hard to believe that my third novel, Waking Up Joy, has been out for two months! It’s been a great ride and I’ve enjoyed reconnecting with the readers of my first two books, Ruby Among Us and Rose House, and connecting with new readers who are just discovering my work. I always say I have the best readers, and I’m so grateful to all of you, old and new! I thought some of you might like to see some pictures from my book signing at Cheyenne Barnes and Noble. The managers and employees at Cheyenne Barnes and Noble have been great to me over the years. They’ve hosted several book signings for me over the years and it was great to be signing books for them again. Enjoy these pics, and if you haven’t picked up your own copy of Waking Up Joy, you can purchase it here. One of the first “readers” to show up at my signing was Joanne Kennedy, who is just a doll and has always been so supportive of me and my books. She’s a very accomplished romance novelist in her own right, and it was an honor to have her there. Learn about her books here! 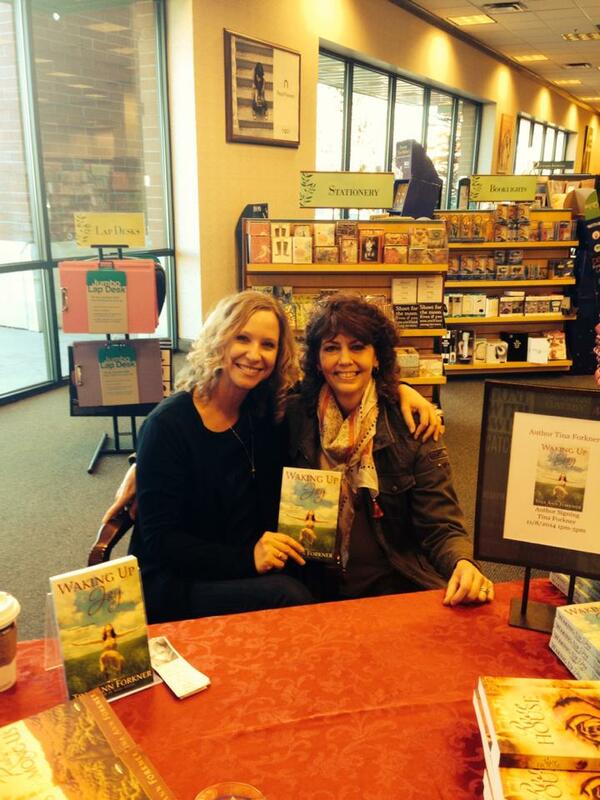 The best part about book signing is definitely the readers. Like I always say, I have the best readers, and my readers are my friends. All of these ladies have supported me from book one all the way up to now, even when I went a few years without having a book out. Speaking of friends, this girl has been to book signings for each and ever book (Okay, so there only 3 right now, but she has been there for every one of them). I’ve known her since I was eighteen and now we are about… twenty-eight, right Dardi? Let’s hear it for best friends! 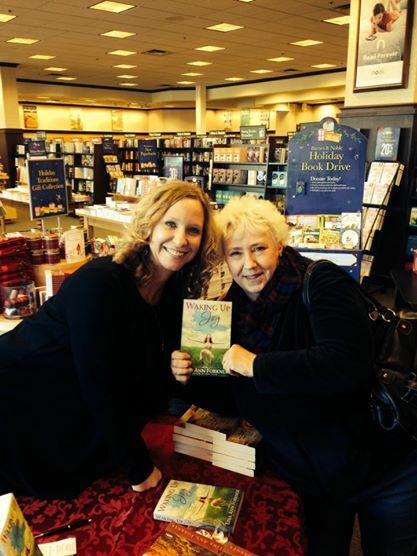 Mary Gillgannon is another author friend. She is our Celtic princess. She has also been supportive from the beginning of my publishing career. Learn more about her books here! And last, but definitely not the least, this is my hubby. He’s my inspiration to keep doing this, even though he doesn’t read fiction with heroines and relationships (He prefers books by our friends C.J. Box and Craig Johnson), but he reads mine. Over all, I’d say it was the best book signing ever. Of course, I think I said that last time. At any rate, I hope you’ll pick up a copy of Waking Up Joy, and if you do, let me know. I would be happy to send you a signed book-plate. 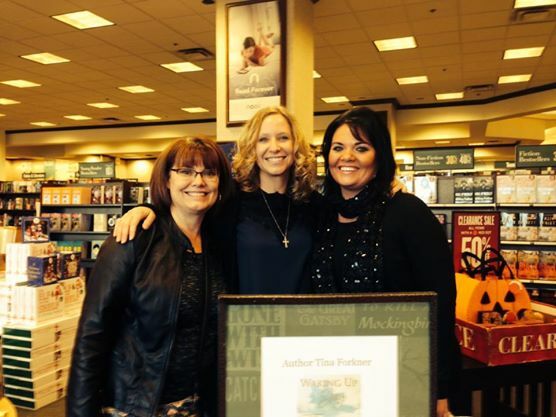 I just have to point out that when I searched the “Women’s Fiction” tag, I didn’t expect to find someone doing a book signing in my hometown as one of the first posts to come up!!! If I had known about this, I would have gone… 🙂 I know half of the people in your pictures as well. And I can’t wait to be one of our local published authors.